As you likely know, our teeth are not perfectly smooth. Everyone’s teeth are slightly different, but we all have fissures and grooves in our teeth where plaque and bacteria can build up without careful brushing and flossing. If your child happens to have grooves and fissures that are particularly deep, the bristles of a toothbrush may not be able to reach all the way in to remove the plaque buildup. In these cases, your dentist may suggest a sealant is applied to help prevent the tooth decay and cavities that are the inevitable result of plaque buildup over time. Sealants are easy to apply. The dentist simply ‘paints’ the sealant onto the surface of the tooth. The sealant then bonds to the tooth, including in the pits and fissures, and hardens. It creates a barrier that protects the tooth enamel from plaques and acids. As long as the sealant remains intact, the tooth surface will be protected from decay. Sealants can last for several years under normal chewing patterns, before the need to be reapplied. The dentist will check the sealant during regular dental checkups to make sure it’s still in good shape. 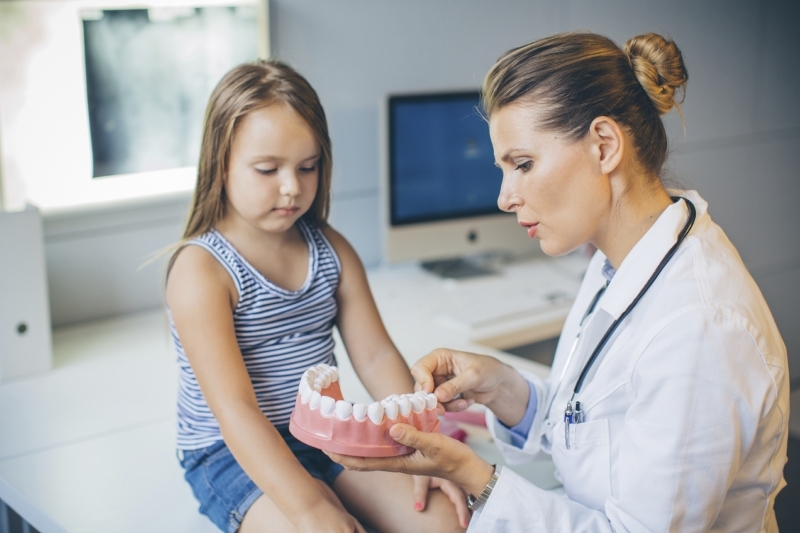 If you believe that your child may benefit from a dental sealant, book an appointment with the SmileTown North Delta team today!